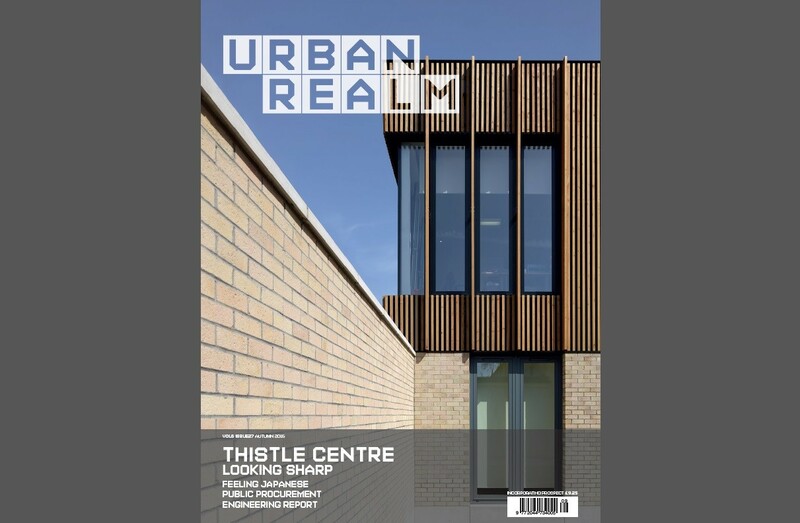 The latest issue of Urban Realm is now out in which we look at the power of architecture to transform the way people think of themselves and the world around them, with a look at two contrasting schemes in Edinburgh and Argyll. The Thistle Foundation is a new health & wellbeing centre offering relief to those with from long-term illnesses whilst Cove Park promises to unleash a new wave of pent up creativity from resident artists. Elsewhere our series of city tours continue as we take a look at the contrasting fortunes of Bradford and Stirling. The former still struggling to pull the wool from its eyes with misplaced ventures such as Westfield just as the latter seeks to move past its own egregious mistakes. Mark Chalmers delivers a timely overview of the often tortuous process of public procurement, a sector whose recent history does little to inspire confidence that a fresh wave of infrastructure investment to stimulate the economy will maximise returns. 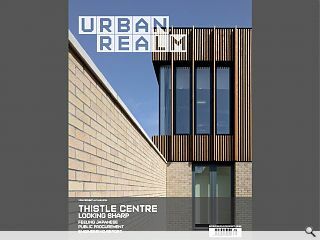 Looking further afield Eugene Mullan offers some nuggets from Japan, a country which is increasingly held up as an example of how to do off-site construction well. Even more remote is the island of St Kilda to which we return to cover early ideas for a new visitor centre, confusingly located on the Isle of Lewis. It seeks to square the circle of meeting the demands of the tourism industry without destroying the fragile ecology which draws them and could offer a template for other heritage sites. We round things off with our exhaustive engineering report which shows that whilst the sector might have a heart of steel it beats with real sensitivity. Don’t just take our word for it though, pick up a copy to see for yourself.